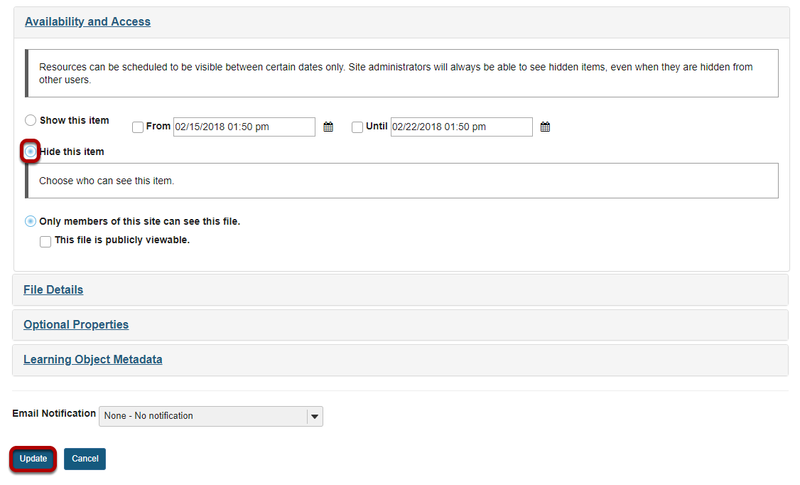 Sakai Guides and DocumentationSakai Basics Resources ToolHow do I hide files and folders? Zoom: Method 1: Select the file(s) or folder(s), then click Hide. Zoom: Confirm action by clicking Hide again.